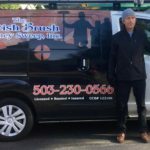 Chimney experts can be hard to come by, but at British Brush Chimney Sweep, Inc.™, we bring the knowledge and experience to handle any chimney cleaning or chimney Service in Portland, OR. For decades we have serviced the needs of homeowners throughout the Portland area and made a name for ourselves as a company to be trusted. 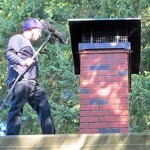 From chimney cleanings to wood stove maintenance, we are the number one company for all of your chimney service needs. 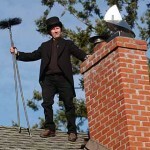 Whether you need routine chimney sweeping or chimney service in Portland, OR, we’re the company to call. Since 1994, we have been providing Portland families with excellent chimney services at great rates. Our expertise and experience makes the difference in keeping your chimney maintained. We’re in the business of building customer relationships, not selling unnecessary products. 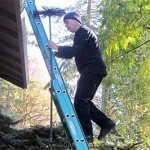 To prove our commitment to your satisfaction, we offer a free condition report with every sweep. There is a reason why so many customers have stayed loyal to us for the past 22 years. The installation of a spark arrester rain top is suggested for your chimney. Without a spark arrester rain top rain water accumulates on the smoke shelf, mixes with creosote in the chimney and turns into a highly corrosive acid. It then attacks the mortar joints on the back wall of the fireplace. The rain water and creosote mixture will cause your damper to rust.Not only will a top keep the rain out, it can also keep out birds, squirrels, and other varmints, as well as leaves and debris. Any kind of blockage in the flue can choke a flue, causing smoke and dangerous carbon monoxide fumes to spill back into the room. A cap can also reduce the risk of a roof fire.